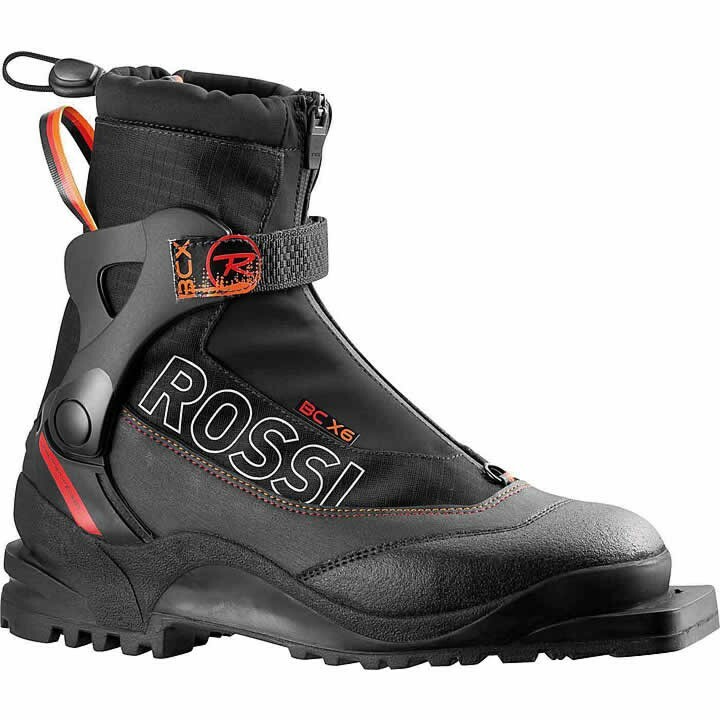 The Rossignol BC X6 75mm is a versatile 75mm backcountry touring boot featuring Cordura® lace covers and Thinsulate® lining to provide increased versatility, durability and warmth for backcountry skiers. The free-hinge cuff with velcro powerstrap provides increased stability, power and control. Featuring new external cuff gaiters, ultra-durable Cordura® lace covers, Thinsulate® lining, and a Thermo-moldable fit, the BC X6 delivers unmatched comfort, durability and warmth for exploring off the beaten path. Velcro strap/ mid-cut gaiter closing system - Provides increased support for enhanced power transfer. WC Speed Lace Lock -Rapid, easy closure for better support of the foot and more precision.